Paul Nazzaro’s love of music began early while taking piano lessons at the age of 8 years old, and he later began been teaching private and group piano classes in high school in 1985. He graduated with a B.A. in classical piano from The Catholic University Of America in Washington, DC in 1993. Mr. Nazzaro has been on the staff of the Springfield and Milltown school systems, is a state certified music teacher, a member of the National Music Teachers Association (MTNA), a certified Kindermusik Teacher, and a member of the Westfield Chamber Of Commerce. He currently teaches full time in his studio with about 80 students and a staff of two supporting teachers. Mr. Nazzaro has published numerous piano books for the elementary and intermediate levels, part of the Nazzaro Music Adventures Series. He has mastered and produced many professional CDs in his studio—for his students, his professional clients, and his own compositions. He has trained many music professionals in digital recording, computer music notation, and theory and composition. While classically trained, Mr. Nazzaro is proficient in and enjoys teaching many genres of music, such as jazz, popular, new age, folk, Christian, Broadway, rock, and many others. He continues to expand his own musical development by writing and arranging music on computers, writing his own music book series for children, enrolling in further musical studies at Westminster Choir College in Princeton, NJ, and being an active member of the St. Helen’s Catholic Community Music Ministry in Westfield. 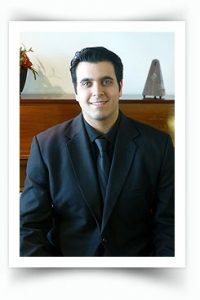 Mark Raimondi graduated with his Bachelor of Arts Degree in Music Education from Westminster Choir College at Rider University in Princeton, NJ. His degree is in classically trained piano, and is a state certified music teacher. Mr. Raimondi is a member of the MTNA (National Music Teachers Association) and the NAFME (National Association For Music Education). Mr. Raimondi has taught and conducted many elementary and middle school classes and choirs across New Jersey. He has many years of private piano teaching experience here at the studio, and is an alumni of the Paul Nazzaro Music Studio himself. Mr. Raimondi was also formerly a student teacher at the studio, where he learned many teaching techniques and found his love of teaching. 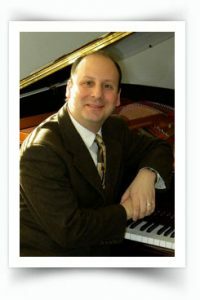 Besides his classically trained piano degree, Mr. Raimondi has been a piano and keyboard performer in many different ways, including playing piano and keyboard in jazz bands, church settings, rock bands, classical ensembles, and as accompanist for soloists in church masses and weddings. Mr. Raimondi has composed many of his own works for solo piano, as well as liturgical settings and songs for his church. Mr. Raimondi is also in a very successful rock and reggae band called Secret Remedy, playing keyboards and ukulele, and writing most of the band’s extensive original songs, with their first full length CD recently released. Mr. Raimondi has a talent not only for music, but making music fun for every student.